These unique little ceramic dishes are handmade in the USA. 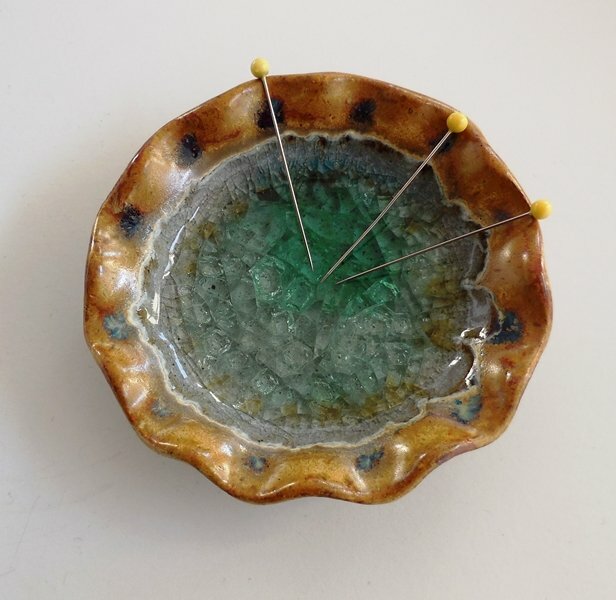 The magnetic pin dishes are made with all natural materials and recycled glass using a strong magnet. Each dish measures approximately 3". What a great gift for your quilting friends. Can also be used for paperclips and other metal items. Since each dish is hand made all the dishes are a little different in shape and color. Let us choose one for you in the tan colors.